Best Pet Vacuum Cleaners - Knowledge Base - How Long Do Pet Vacuums Last? Nothing lasts forever – not even your pet vacuum cleaner, no matter how much money you invested in it. Of course, the brand and price play a major role in the appliance’s overall quality and durability, but there are also some other factors that can prolong your vacuum’s lifespan – and the best part is that they are entirely under your control. Read this guide to learn what dictates the lifespan of your pet vacuum cleaner and how long it can last with proper maintenance. Like with any other product, you will get what you paid for with pet vacuum cleaners too. Models like Eureka Airspeed Unlimited and Hoover WindTunnel 3 Pro will most definitely last much longer than similar models coming from unknown manufacturers. Companies like Hoover, Eureka, Bissel, Dyson, and Samsung have been on the market for many years and they have built a solid reputation for selling reliable and durable appliances. Additionally, following the original purpose of the appliance is one of the keys to maximizing its overall lifespan. 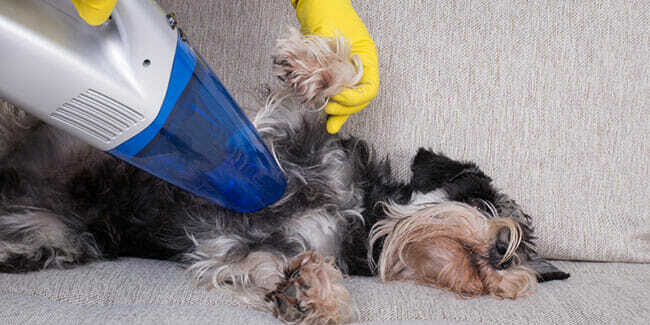 If you constantly vacuum pet hair with a vacuum that is not built to handle pet hair, you may overwork the motor, which may consequently result in the appliance malfunctioning. Even if your pet vacuum cleaner does not come from a reputable and well-known source, you can still implement some recommended maintenance routines that will definitely prolong its lifespan. First of all, never allow the bin or bag to fill up to the brim. This can clog the appliance and make the motor unit work much more than it should. The same goes if you allow the hose to clog, so pay close attention to any potential obstructions. You should also clean and replace the filter(s) regularly. If they clog, they will restrict the air flow, which results in lowered performance but also puts additional stress on the motor. 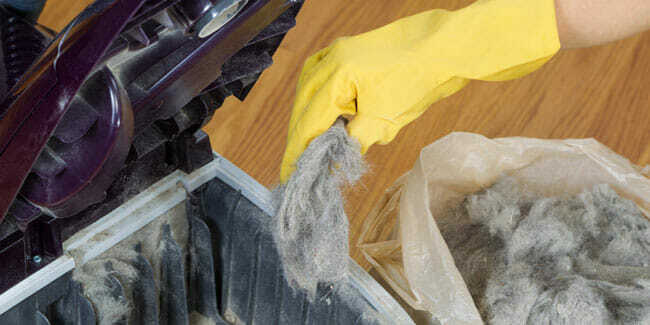 As far as cleaning your pet vacuum cleaner goes, give it a good deep cleaning every once in a while and you should notice a huge difference in performance immediately. The cleaning frequency depends on the size of your home. If you have a small apartment, you do not have to deep-clean your vacuum as often as a person with a 2k square-foot house. Every few weeks (at a minimum), you should check the motorized brush and other floorheads you might use for tangled pet hair and other fibers since they can put additional pressure on the motor unit. Finally, the drive belt should also be checked and replaced regularly since it can dry rot, stretch out or come off track. So, knowing all of this, how long should your pet vacuum last? According to experts, the best vacuum cleaners for pets coming from reputable sources should last around 8 years with proper care and maintenance. After that point, you should definitely consider replacing your vacuum even if it still works.